So far this year, we have had two special visits. 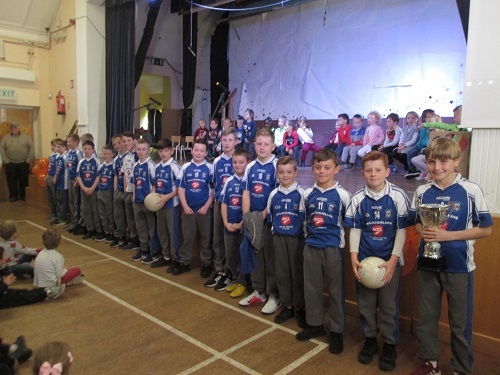 Our past pupils from St Conleths and Marys winning u10 football team arrived in with their cup. 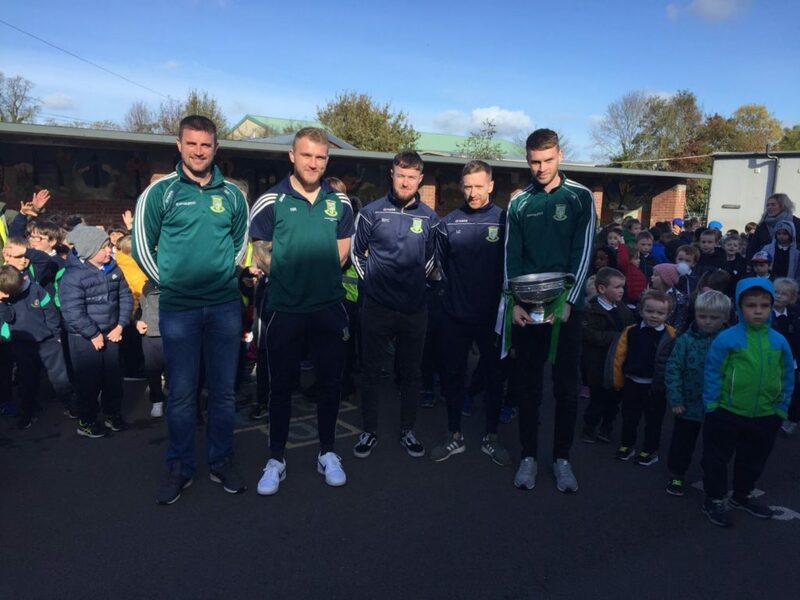 The Moorefield Senior football team came to visit us after winning the county final too.